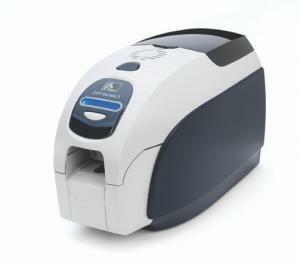 Compacted and ready to use, the Zebra ZXP Series 3 is a full featured high speed card printer that can be integrated into standard ID Cards and access control applications. 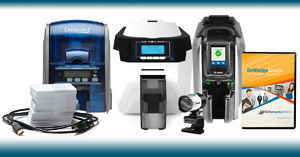 This affordable ZXP series 3 direct-to card printer is a suitable choice for applications where small space, minimal operator training and print quality are paramount. 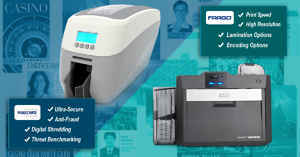 This printer is ideal for deployment in educational institutions and retail outlets for ID card, gift card, loyalty card or membership card applications. 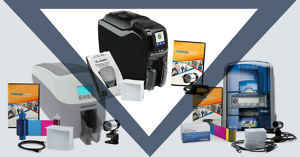 The ZXP series 3 achieves fast print speeds and high image quality by utilizing ZRaster host based image processing technology and True Colours ix Series high-performance ribbons. 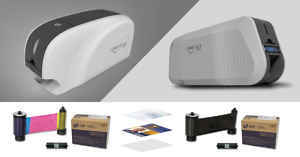 This ID card printer offers a full suite of encoding options, including PC/SC and EMV-certified smart card encoding, over USB and Ethernet. 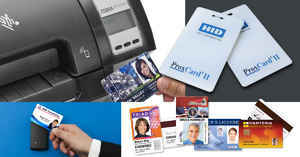 You can print on one or both sides of the card with high-quality color or monochrome images for a variety of applications.